The team at Downes & Sons Auctioneers, Athlone, are gearing up for their latest public auction, set to take place on September 2 at the Shamrock Lodge Hotel, Athlone. 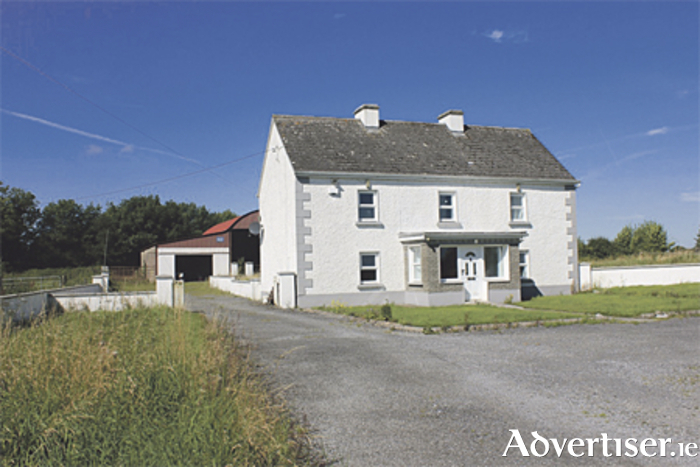 Going under the hammer on the day will be Grahia House, Clonown, Athlone. This prime residential holding of 62.5 acres consists of good agricultural land and bogland, together with a substantial detached residence which stands well back from the roadside. Accessed via a private avenue, the main dwelling consists of a two-storey, three-bedroom home which will require work to bring it up to modern standards. The home is complemented by an array of outbuildings. This is truly a superb farm - all in pasture, ideal for beef, dairy, and equestrian use, well fenced and maintained throughout the years by its current owner. Outbuildings include a slatted shed, hay barn, ancillary sheds. Livestock handling facilities in place include a cattle crush and holding pen. Viewing is highly recommended. The interior of the home offers approximately 1,990 square feet of living space. This includes a kitchen, dining room, sitting room with open fireplace, bathroom, wash room, and three bedrooms - all double rooms and one with a fireplace. The home also benefits from having oil-fired central heating and has a BER E1 energy rating. The property is being offered as one entire lot. Viewing is by appointment only. Downes undertake viewings six days a week and will always endeavor to arrange a time that is convenient to you. Due to the large number of genuine clients looking for all types of properties, Downes & Sons Auctioneers need houses, land, and sites. Downes offer a free valuation if you are selling your property with them. Downes & Sons Auctioneers is open Monday to Friday from 9.30am to 6pm. Call (090 ) 6472221 or (086 ) 6082382. Alternatively, email [email protected] or visit www.downesautioneers.ie for more details.